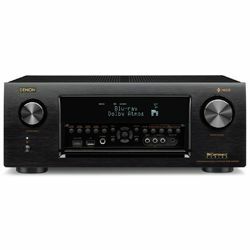 Onkyo TX-NR686 vs Denon AVRX1500 is the opposition of the 7-channel receiver versus 13-channel one. 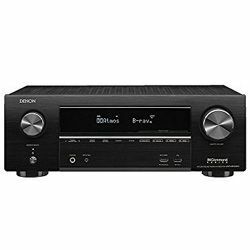 Denon AVRX1500 costs more than its competitor, but at that time has less number of connectors. So do we need to overpay? 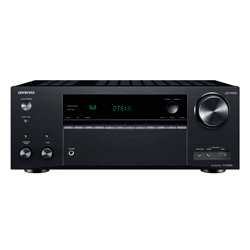 First of all, we need to compare Denon AVRX1500 vs Onkyo TX-NR686 features. Onkyo supports 5.2.2-channel Dolby Atmos and DTS: x playback. Chromecast can work with the Google Assistant. Dynamic Audio Ampf delivers thrilling multichannel and stereo performance. DTS Play-Fi multi-room audio with Onkyo Music Control App work without any problems. This unit brings amazing 4K video and impressive sound. The Denon supports Dolby Atmos, DTS:X and DTS Virtual:X for three-dimensional audio experience as well. Built-in HEOS wireless multi-room audio technology gives me a chance to listen to music from any room. 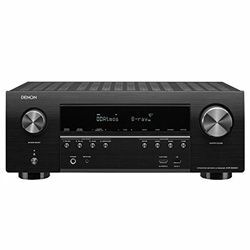 Denon AVRX1500 develops the excellent sound. It streams music directly from iPhone or iTunes on the PC with iTunes latest version 10 and up with AirPlay2. Onkyo has 7 HDMI inputs (1 front) and 2 outputs (1 main out, 1 sub out), plus 2 composite and 2 component video inputs, besides, 2 optical and 1 coaxial input. As we can see, this device has plenty of HDMI connectors in addition to all the old style video/audio inputs. Like its opponent, the Denon provides Bluetooth and Wi-Fi wireless streaming connectivity, as well. 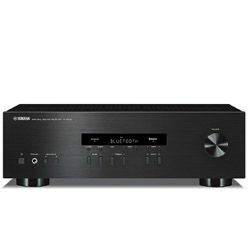 In addition, Denon AVR-X1500H is equipped with an advanced dual-antenna transceiver system for robust streaming with the opportunity to stream music via the app. This receiver has only 6 AV inputs and 6 HDMI inputs, but I have no complaint about their work. Despite that the Onkyo has Quick Setup Guide, after the initial setup I thought I did something wrong or I had a broken device because there was no audio, but after clicking the remote's volume button, the sound appeared at around 20 to 30 on the volume display. The Denon has the same problem because the instructions didn't help. It can´t automatically turn on the TV or switch to the right input when I plug in other devices. It should be noted that AVRX1500 is smaller and lightweight (18.7 versus 22 pounds) so it will fit any shelf. However, its remote controller feels cheap. Nevertheless, Onkyo TX-NR686 looks stylish. Supports all popular music streaming services. Good receiver for its price. Built-in Chromecast is audio only. Remote and app are easy to operate. Voice delay to YouTube audio.